Some days, I want more than Ezekiel bread for breakfast. And some mornings are game days, and I want to fuel up my player with something healthy and satisfying, but not too heavy. 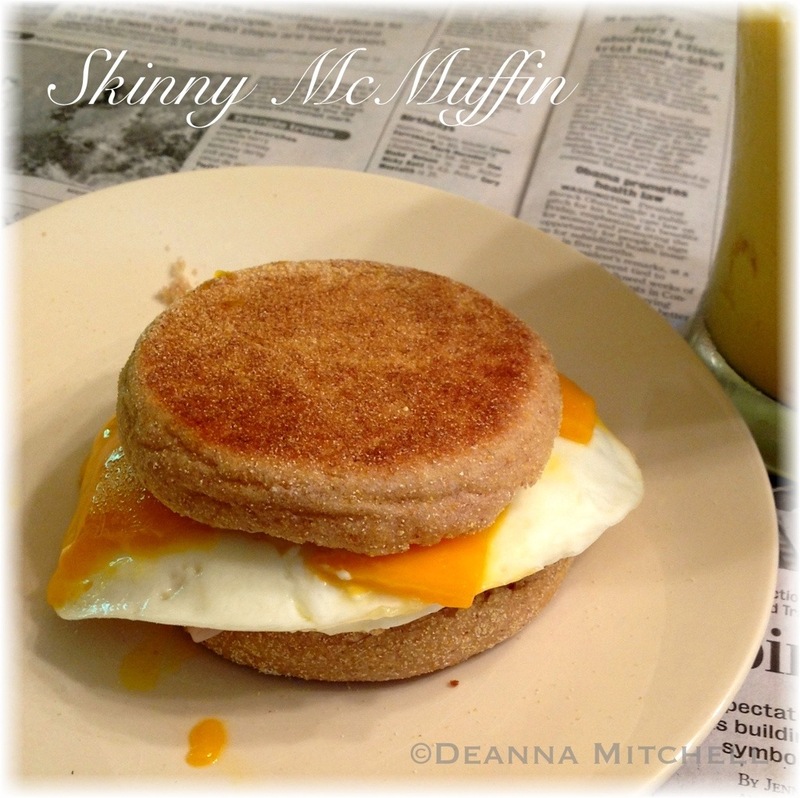 These breakfast sandwiches are based on a popular fast food offering, but healthified. They have less fat, less cholesterol, less sodium and more protein than the drive-thru version. I could have these for breakfast, lunch or dinner. They are so good. And they are quick. From start to finish, about 5 minutes. For mine, I also add a few pieces of roasted asparagus and some arugula pesto. Ahhhhh, breakfast! In a toaster, toast the English muffin lightly. When muffin is lightly toasted, put on a plate and top one half with the slice of prosciutto. Top the other half with the mayonnaise. Crack the egg in the pan and cook for about 2 minutes. Flip egg over and top with the cheese, so cheese will melt while egg cooks. Cook egg 1-2 minutes more and add cooked egg and cheese on top of prosciutto. Top with remaining muffin half and serve! When the high for the day is going to be 32 degrees, toast just doesn’t cut it for breakfast. I love steel cut oats both for their flavor and for their satisfying warmth. But plain oatmeal gets, well, boring after a while. 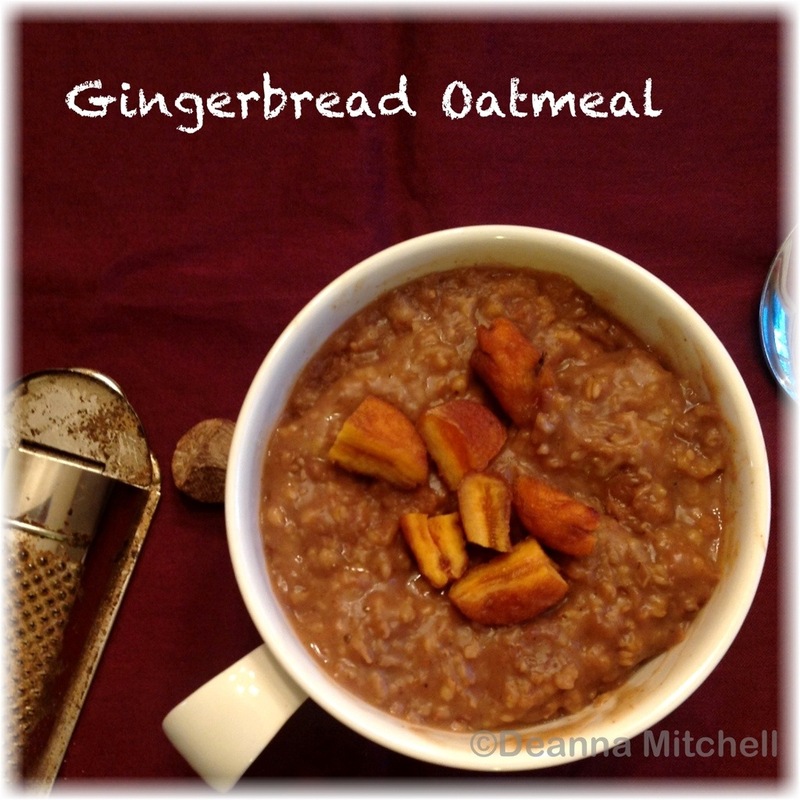 During the chilly mornings of last fall, I fell in love with THIS recipe for pumpkin pie oatmeal. But winter is a time for gingerbread, peppermint and chocolate, so I was looking for something a little different. I figured if I could make gingerbread pancakes, muffins and bread, there must be a way to bring that flavor profile to oats, right? Right! After some experimenting with spices, I think I have a good balance of spice and sweetness. Note: I like my gingerbread pretty spicy. If you like a subtle taste, cut back a bit on the spices. 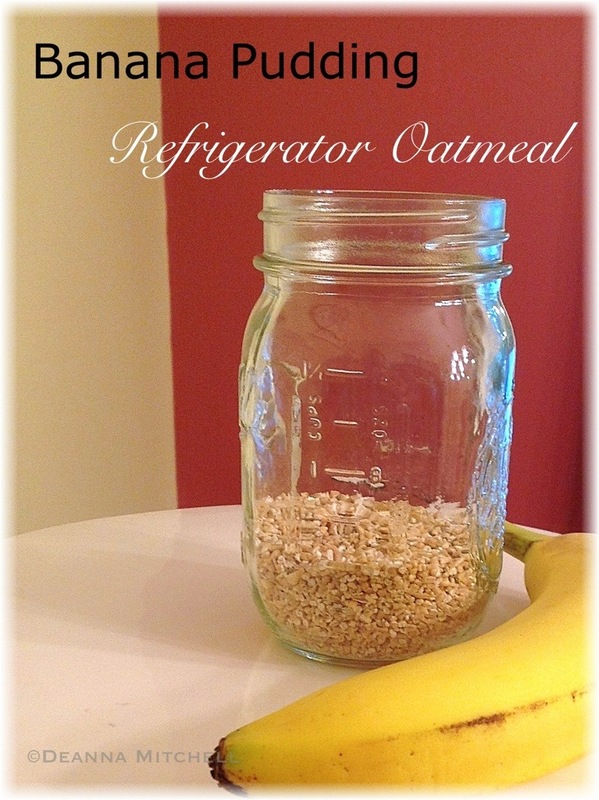 I love this oatmeal and although you can add some brown sugar, this recipe just uses molasses for sweetness and a little kick. I also added some chopped organic dried apricots and that was delicious! Enjoy! I’m including the crock pot recipe here, but you can make this the normal stovetop way as well. In the bowl of a crock pot, add the water and spices. Use a whisk to combine. Add the molasses and stir. Add the oats and stir again. Set your crock pot to its lowest setting (I use the “keep warm” setting on mine). Cook overnight for 6-7 hours. Top servings with dried fruit, if desired. If you’ve followed us for a while, you know I scored a wonderful VitaMix blender by getting the last year’s model on sale on amazon.com. I love that blender. While it was still about $250.00, that was far less that the $400 commanded by the new model, so you know, it seemed like a bargain. And since I’ve used it almost every day for three years, I feel I’ve gotten some good use out of it! That thing will crush, pulverize and liquefy just about anything in seconds flat, I tell you. Because of that, we have smoothies pretty much every morning. 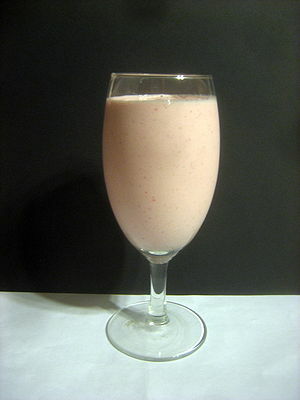 I’m wondering now with the new year if I should vary our smoothie offerings a bit. I’ve read about oatmeal smoothies and kale smoothies, but I just haven’t committed to making any smoothie menu alterations. Today, I found this great Smoothie Flowchart on the Eating Rules blog (www.eatingrules.com). I love it because it takes some of the total guess-work out of the process (and guessing is not good for me before coffee). Feeling sweet? Go with fruit and other ingredients. Feeling savory? There are menu ideas for that, too! I printed a copy and will post in on the fridge for quick smoothie making. 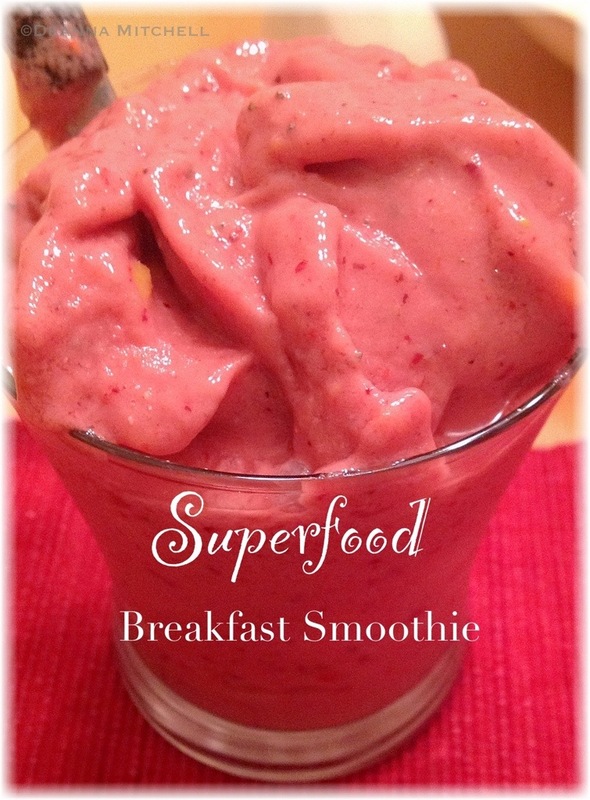 Here is our tried and true recipe for awesome, thick fruit smoothies that are really like having ice cream for breakfast without the guilt 🙂 Using frozen fruit definitely works better than using ice cubes–I think they really water a smoothie down. If you are using small berries, use the 3 cups. For frozen strawberries or frozen mango, go with 2 cups. You can play with the proportions to see what you like best! Put all ingredients in a blender. Blend until creamy. 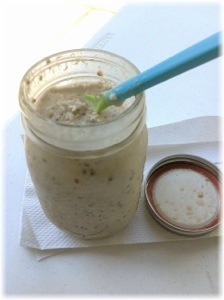 Add more soy milk if the mixture is too thick for your blender. Scoop into glasses and enjoy!